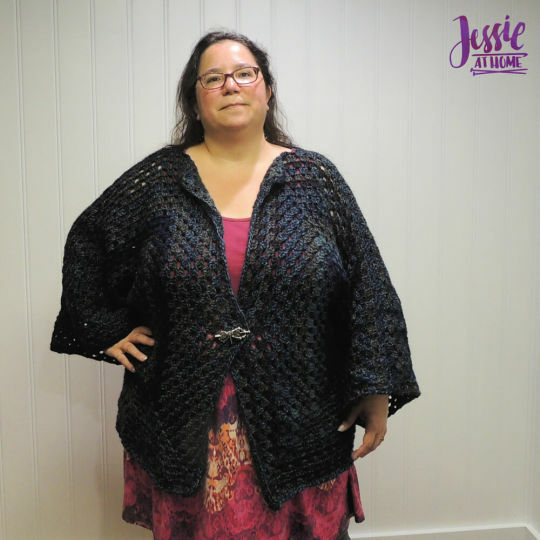 The Candy Cardi is so easy to make and can be made to nearly any size. In this pattern I explain how to make it to the size you need. The Candy Cardi is a super simple cardigan from two hexagons with no added frills. This cardigan is warm and cozy and great for a comfy day at home in the winter, or for going out and about. There are plenty of colorways of Premier Candy Shop yarn so you can make the Candy Cardi to fit your own color tastes or those of the special person you want to make one for!